Another beauty post. Especially in summer I really turn into a beauty lover. I tried the Dream Cream from Lush. A cream based on olive oil and oatmilk, essence of camomile, rose and lavender. Moisturizes dry skin and is calming if you've got a sun burn. For my long hair I used the "Curly Wurly" shampoo. Its vanilla and coconut scent makes me feel like I'm already somewhere on the beach. For smooth hair I used the "Big Conditioner"after shampooing. 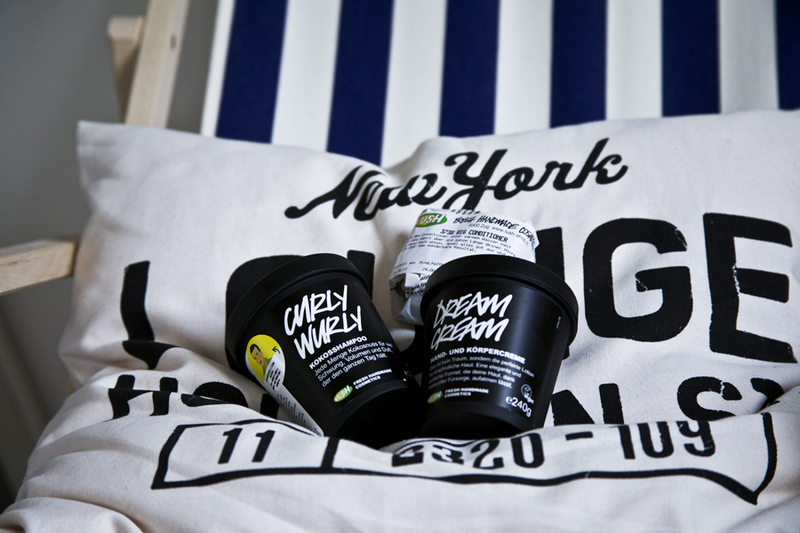 You can win the Travel Naked Kit from Lush!!! With beauty products in travel size for your summer holiday. 1. Be or become a reader of my blog. 3. Write a comment with your Email under this post. After 10 participants I will wait for 2 more days until i'll choose a winner. Auf die Dream Cream habe ich auch mal eine zeitlang geschworen! Die ist wirklich super. Toll, ich mag die Produkte von Lush.